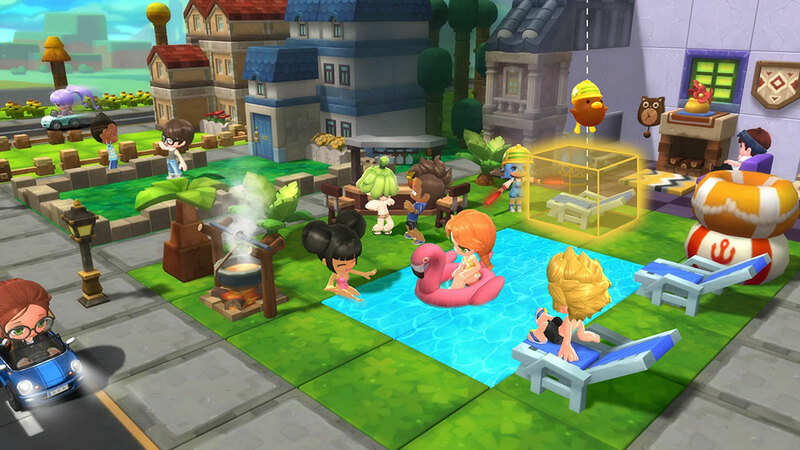 Last November, MapleStory 2 issued scheduled maintenance—as they always do per patch—to further improve the game. This time around, there are changes that have been made involved the Black Market in order to eliminate Meso farmers who sell and buy Maplestory 2 Mesos. For those of you who aren’t familiar with what the Black Market is in MapleStory terms, the Black Market is where players can list their own sellable items and purchase other players’ listed items for Mesos. The Black Market has been open to all until the latest update came around and set a limit as to who can go to the market. Perhaps the most damning change that the developers of MapleStory 2 have brought to the audience is that in order to list an item on the Black Market or initiate a trade with another player, you must be at least level 60 to do so. Hitting the nail in the coffin, only level 50 players or higher are able to purchase an item from the Black Market or accept trades from other players. According to the ongoing investigations by the developers of the game, there has been rampant unintended use of these trading systems such as the Black Market mainly by Meso farmers at low-level ranges. The result of which is a rather wobbly fluctuation in market prices, leaving the economy in shambles. Just before the update, there have been more than 20,000 malicious accounts that were banned to combat this problem. The developers are indeed working as hard as they can to restore the market balance. Clearly, Nexon is drawing the line with more restrictions against Meso sellers and transactions right now. While few Maplers have actually applauded this reform, most of them were understandably outraged by this update and mingled with the grievance of unfair treatment. These restrictions were generally considered to be “getting out of order” by most of the players. Although nobody would really back up for the Mesos buy and sell aspect of it, players got more furious and irate toward the new terms. This was especially the case with newcomers and old players trying to level up their characters in different servers. As new players greatly depend on saving money in exchange for basic boosting supplies that you can get in the Black Market, these kinds of market restrictions can gradually drive off the game. Even more restrictions in the future may prompt the ire of players as they’ll have to spend more time and effort just to try and reach level 60. The real madness of this restriction is that it literally cuts loose of any legitimate transactions between low-level players in the Black Market. So a level 20 or lower player will no longer be able to buy orange potions in the Black Market. And the worst part is a player of that level (or lower) won’t be able to afford to buy those supplies and other gear as well from anywhere else because other places that offer these items sell their products at utterly ludicrous prices. Thinking about raising more money by selling some of your items to buy an item of your liking? Well, you can forget about that since you’re excluded from trades in the Black Market because of your level. All in all, the impact of this update was definitely greater than what Nexon could fathom. The changes were supposed to sabotage the Meso farmers. Instead, the legitimate players of the game are the ones who received a bitter surprise since this damages the gameplay of players who want nothing to do with Meso trading and are only in it for the fun that MapleStory2 brings. next : FIFA 19 Winter Upgrades: When Will The Ratings Refresh Happen And Which Players Will Be Upgraded?